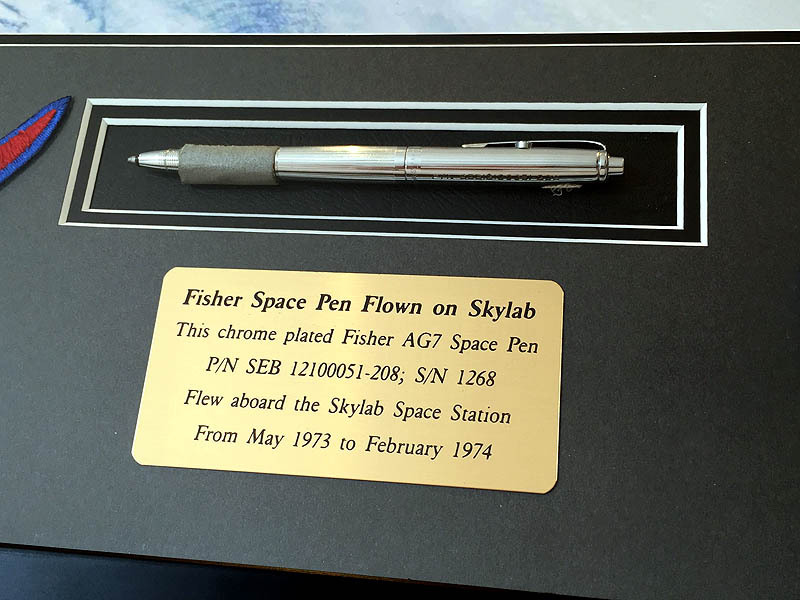 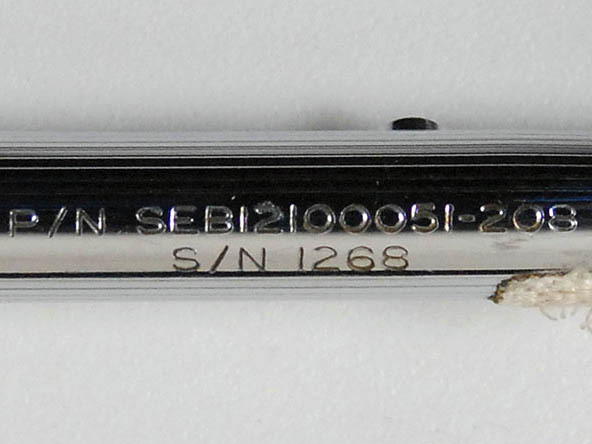 This Chrome Plated Fisher AG7 Space Pen was flown aboard the Skylab Space Station during all three of it manned missions, starting with SL-2 in May 1973 piloted by Pete Conrad, Joe Kerwin and Paul Weitz. 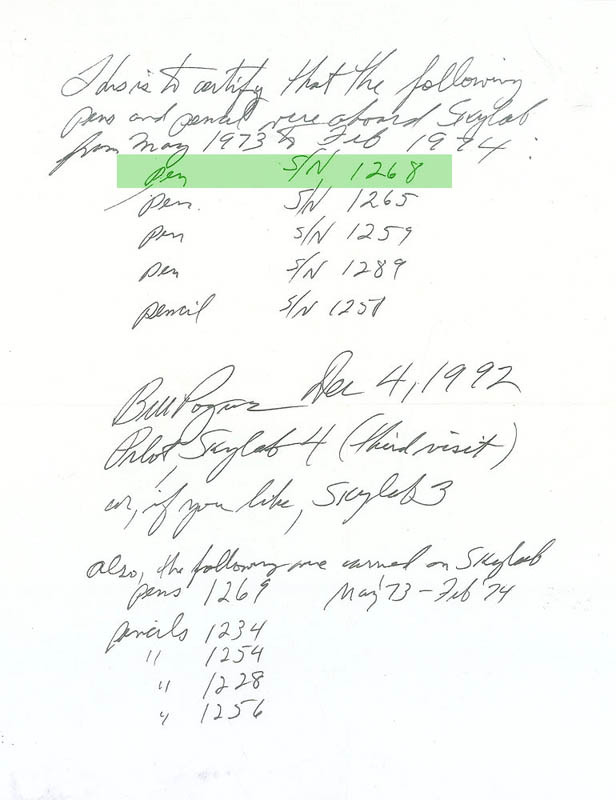 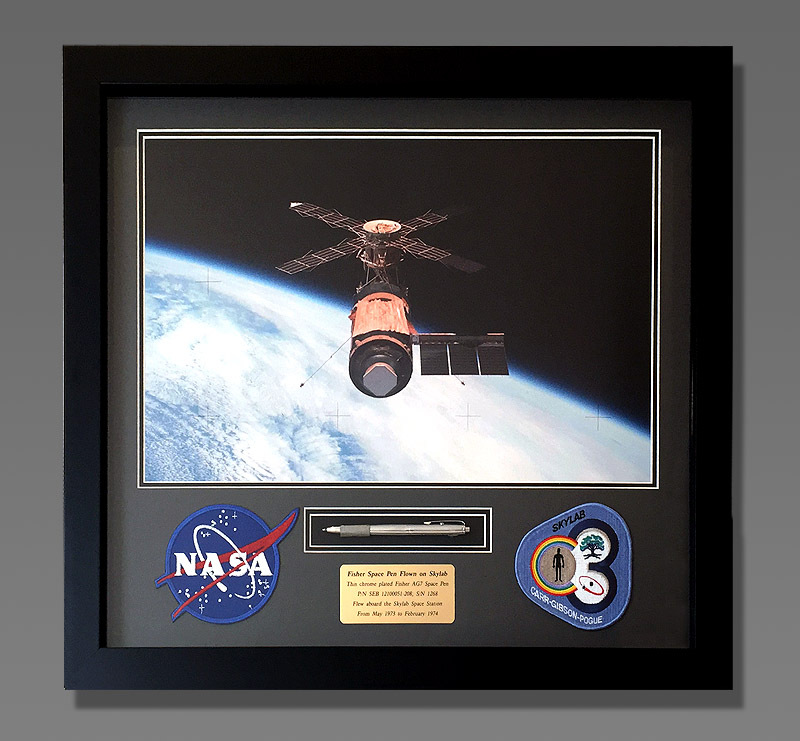 Followed in July 1973 by SL-3 piloted by Alan Bean, Owen Garriott and Jack Lousma, then by the final manned mission SL-4, piloted by Gerald Carr, Ed Gibson and Bill Pogue. 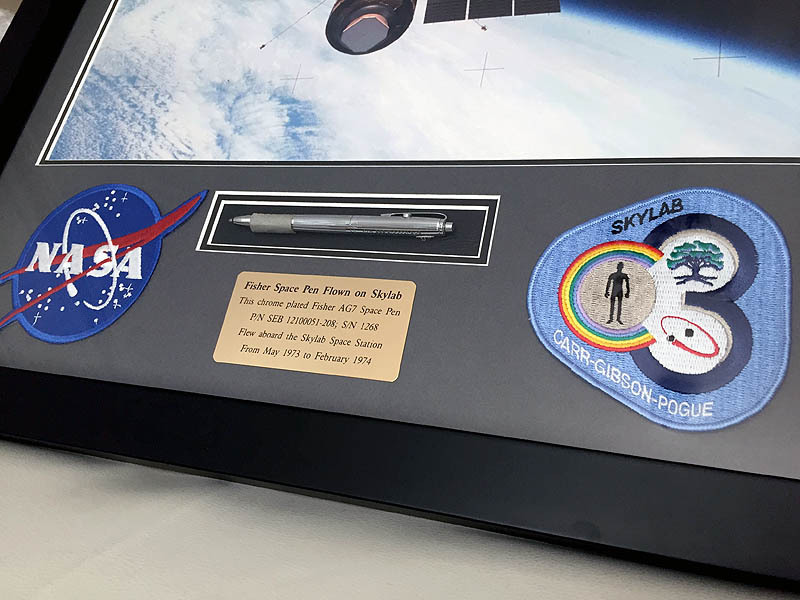 The Pen measures approximately 5 inches long and has been framed along side 4-inch AB Emblem Patches and Brass plaque using archival materials to an overall size of 22.5 x 21 inches.